Harlem (New York) was a very special place during the 1920s. Every African American in the United States went there searching for freedom and new opportunities. Even though reality wasn’t as promising as it looked like, creativity and hope spread along the streets. Results of this were the very varied new music styles that emerged and, above all, the dance style that would mark a decade: the Lindy hop. 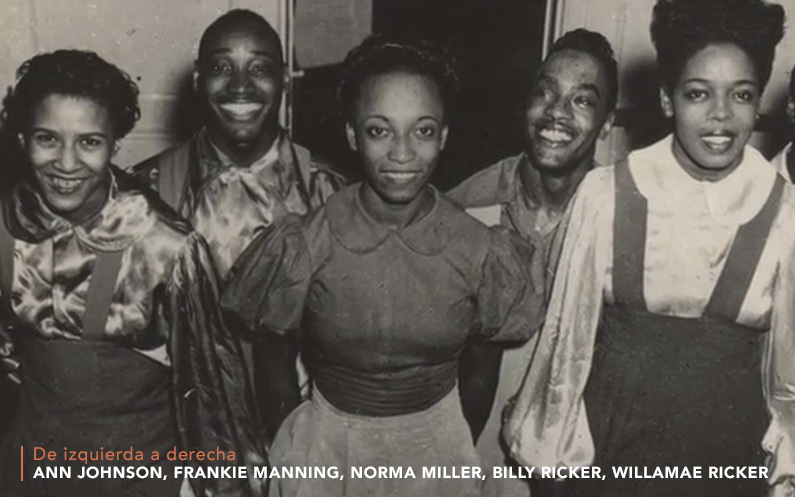 Youngsters danced on the streets, music flowed from the venues and, at a very young age, Norma Miller knew her destiny was up on a stage. And she was not the only one who knew that because Herbert White recruited her to dance at the Savoy (Harlem’s best dance room), where she met the best dancers of all: Whitey’s Lindy Hoppers. She was just 14 years old when she entered the Savoy and she started dancing with its most successful dancers: Frankie Manning and Leon James (who were Whithey’s most trusted dancers) among others. Then the Second World War happened and everything changed. Men joined the army and Norma had to get creative to survive. She founded her own dancing group “The Norma Miller dancers” with jazz dancers, not Lindy hoppers. But this is a whole different story deserving of its own blog post.